Gift your dedicated fan a spectacular NCAA and college-themed surprise. 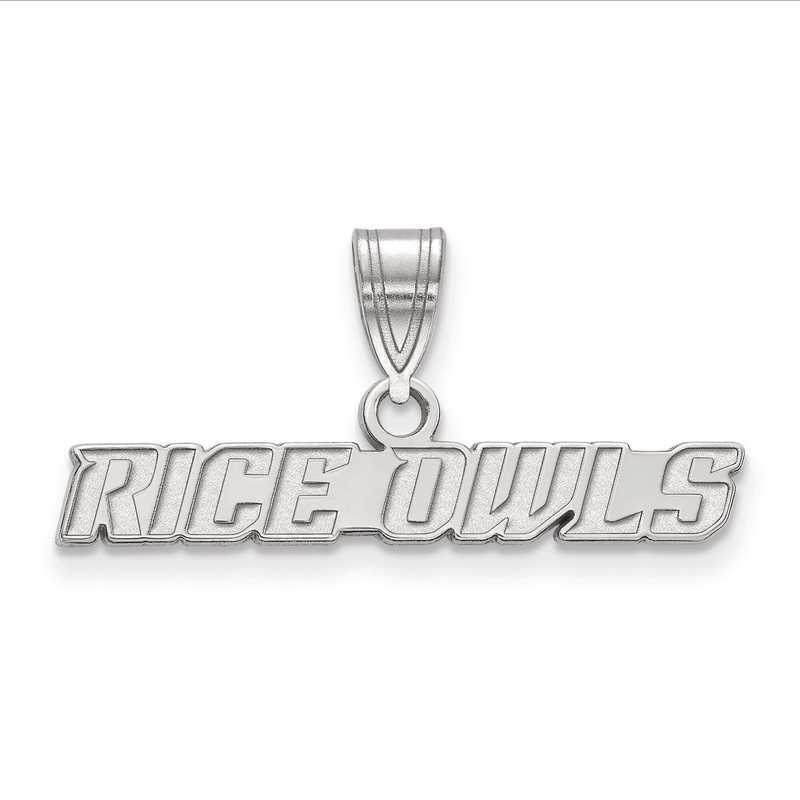 This amazing pendant is perfect to finish off your look with elegant style and glint of Rice Owls pride. Set in rhodium-plated sterling silver, this 12x24mm medium pendant features Rice University team name RICE OWLS with laser-cut design to give radiant look. With polished finish this LogoArt pendant boasts lasting gleaming shine. Manufacturer direct from a trusted supplier.